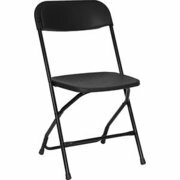 If you're responsible for planning the celebration, you'll want to make sure everyone gets a seat at the table, and BounceAndPlayLLC.com has you covered with high quality folding tables and chairs. 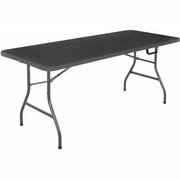 Heavy duty vinyl table tops and chair surfaces will also make cleanup fast and easy. Browse the selections below and click on the image or "More Info" to get additional details and to make a reservation. Need tables and chairs for your party!! Let us help.